Our firm Gillson is a professional fitting manufacturer in Taiwan. 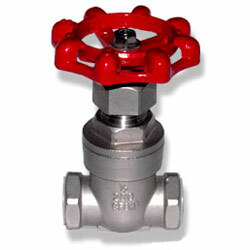 We are not only offer you fitting but also with various valve assembling service from our factory. Our sample is available upon your request. 2. Pressure rating: 200 PSI. 3. Material: CF8M (stainless steel 316). 5. All of type threaded end is availalbe up to your request.